This property is a 2 storey beach bach with a great holiday feel. Wake up every morning with a view out to the lagoon from your bedroom. The property sleeps up to 5 people with the extra person having a fold out futon. 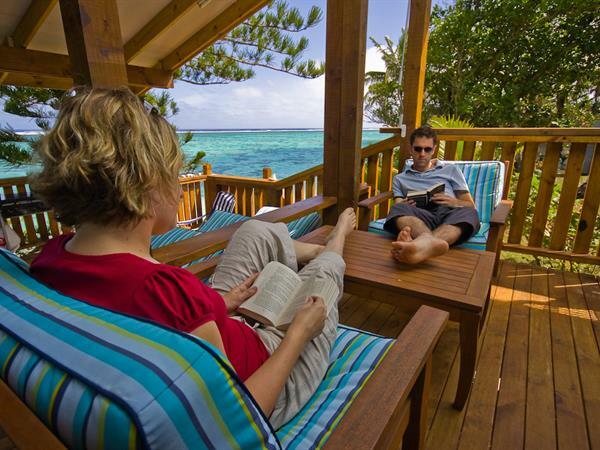 On the veranda deck enjoy an afternoon sleep on the day bed or a BBQ dinner with friends. The property has laundry facilites and a carport, full kitchen with breakfast bar and six seater dining table. Great location just steps away from the water and only a short walk to the supermarket.